The situation regarding the two Moldovans who have been kept hostages in Afghanistan is more warning. The Moldovan pilits are still blocked by Russian authorities. President of the Parliament, Andrian Candu wrote on a social media page that our authorities left to Moscow to bring the two Moldovans and then they have been told that they are not under Russian custody, but under the custody of a NGO. At the same time, Andrian Candu wrote that all this is due to Igor Dodon. He should leave to Germany for two days and our Moldovans are left in the same place, because he wants to make a big show out of this event. "This situation becomes more and more alarming. This became a PR movement. It is incredible that the team of the Republic of Moldova's authorities walks around. All this situation reveals the image of Igor Dodon. I can't even say that he is a president. He should leave to Germany tomorrow, for a couple of days. And he will manage the case of the Moldovan pilots only after he returns, because he wants to make a big show out of this. He wants to show everybody that he is a hero. Mr.Dodon, please stop it. Release the Moldovan pilots. Hey have been hostages for so long. What is more important for you, our citizens or your trip to Munchen? I know your answer already. You said that you sent a doctors team to Moscow. So, why don't they have access to the pilots? Mr.Dodon, you are not a hero, you just have proven that you are a cynic and want to use this case on electoral purpose. Moldovan pilots who have been hostages in Afganistan in 2015 should have been arrived in Moldova four months ago, but President Igor Dodon blocked their return. He wanted to take advantage of it in the election campaign. These accusations were brought by Andrian Candu, the President of the Parliament who declared that Igor Dodon't gesture is an illegal one. Candu condemned the cynic behavior of Igor Dodon. The President of the country announced that the hostages have been released a couple of days ago and they will arrive in Moldova within one week. 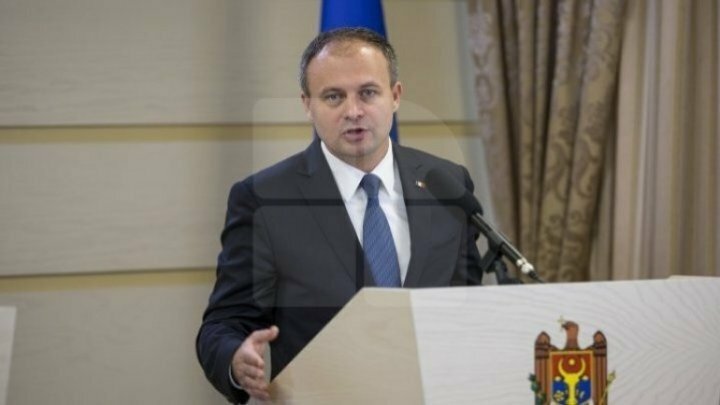 At the same time, the authorities can open a criminal file to Igor Dodon President. "Today, Igor Dodon made a terrible thing. Our two hostages who were kept in Afghanistan for three years, our institutions and collaborators in our institutions have struggled to get the boys out of Afghanistan, managed to get them out of there. Dodon talked with his friends in Moscow and the plane flew to Moscow, instead of flying home and taking people to families, to take advantage of them and for three months they were held there to take advantage during the election. Now he is going fly to Moscow to bring them and say that he has managed to release them. They could already be home in families. Look at your behavior and cynicism for politics and political debate to have a political edge. And that's how people stayed there for three years and tortured themselves there in Afghanistan, but still kept them in Moscow for three more months to bring them to the electoral campaign. For that, a criminal file could will be opened for Dodon. That means taking your own hostages and holding them there", said Andrian Candu.